You have a deadline and you must deliver. Does your organization have a plan in place? Our management team has compiled five steps to project management. These five steps help make project management consistent, predictable, and repeatable. These steps are about planning your project, implementing the plan, and achieving the goal. Use the following steps in developing your organization’s project managers. A project plan, project charter and/or project scope may be put in writing to outline the work to be performed. 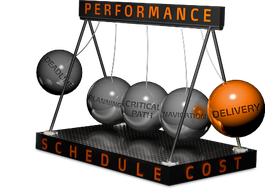 During this phase, a team should prioritize the project, calculate a budget and schedule, and determine what resources are needed. Resource tasks are distributed and teams are informed of responsibilities. This is a good time to bring up important project related information. This blog is shared many tips or steps on project management. We can do so much with the following articles and essays. Then you will learn so much about the project manager.